Wick Lane Bridge is a minor waterways place minor waterways place place on the waterways major waterways place village town city on the Grand Union Canal (Hertford Union Canal) between Hertford Union Junction (Junction of Regent&apos;s and Hertford Union Canals) (6½ furlongs and 2 locks to the southwest) and Hertford Union Canal Junction (Junction of Hertford Union Canal and River Lee) (2¼ furlongs and 1 lock to the northeast). It is part of Old Ford Three Locks. The nearest place in the direction of Hertford Union Junction is Hertford Union Middle Lock No 2; a few yards away. The nearest place in the direction of Hertford Union Canal Junction is East Cross Route Bridge; ¼ furlongs away. There is an official, large, rubbish paladin in the BWB-key-locked wooden structure at the top of the towpath access ramp. Information last edited Thursday the 22nd of December, 2016 at 4:55 PM by Aegidian. Queen Elizabeth Olympic Park, London, E20 2ZQ — 1260 yards to the east. Islamabad — 1060 yards to the south. 1108 yards to the southwest. London — 1586 yards to the southwest. London — 1280 yards to the southwest. London, E20 1 — 1063 yards to the northeast. London — 915 yards to the southeast. London — 689 yards to the southwest. London — 1469 yards to the east. London — 990 yards to the south. London — 1608 yards to the southwest. Olympic Park , Stratford, London, E20 2ST — 801 yards to the east. Queen Elizabeth Olympic Park, London, E20 2ST — 803 yards to the east. London Stadium, Queen Elizabeth Olympic Park, London, E20 2ST — 825 yards to the east. London, E13 9AZ — 850 yards to the east. Abercrombie Road, Queen Elizabeth Olympic Park, London, E20 3AB — 1602 yards to the northeast. 153-159 Bow Road, London, E3 3SE — 1456 yards to the southeast. Westfield Stratford City, London, E20 1EJ — 1482 yards to the east. Stratford — 1584 yards to the northeast. Bow — 764 yards to the south. 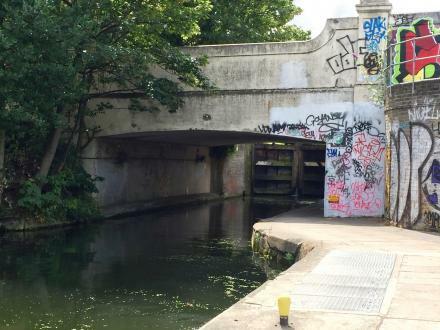 River Lee, White post lane, Hackney Wick, London, E9 5EN — 571 yards to the northeast. London, E3 3 — 1504 yards to the southeast. London, E9 5 — 454 yards to the northeast. London, E20 3HB — 825 yards to the northeast. Queen Elizabeth Olympic Park, London, E20 2ST — 1023 yards to the southeast. 159 bow road, London, E3 2SE — 1440 yards to the south. International Way, London, E20 1 — 1552 yards to the northeast. London — 785 yards to the south. 92-94 Wallis Road, London, E9 5LN — 688 yards to the northeast. London, E9 7DE — 873 yards to the southwest. London — 1468 yards to the southeast. 153 - 159 Bow Road, London, E3 2SE — 1462 yards to the southeast. London, E3 2 — 1161 yards to the south. London, E3 2 — 307 yards to the east. London, E15 2 — 1573 yards to the northeast. 2 Stratford Place, London, E20 1EJ — 1582 yards to the east. Westfield Stratford City, 2 Stratford Place, Stratford, E20 1 — 1596 yards to the east. Queen Elizabeth Olympic Park, London, E20 2AD — 1090 yards to the east. Queen Elizabeth Olympic Park, London, E20 3HB — 810 yards to the northeast.